NOTE: Tips on how to react properly in dealing with Airport and Crossborder Immigration Officers abroad (based on my more than 50 airports and crossborders combined visit). This pointers are essential especially if its your first time doing leisure travel outside Philippines. Please read also query comments of our Kababayan's case experience (very important!). The following are my personal rate of experience (solo travels mostly) on Immigration Officer encounters in airports and crossborder checkpoints abroad. I rate it on scale of 1 to 5, [1 - VERY RELAX (typical inspection & zero interrogation) to 5 - STRICTEST (rigid inspection & extensive interrogation)]: All Southeast Asian Nations are very relax so far [Singapore(2011), Malaysia border(2011), Ho Chi Minh(2011), Cambodia border(2011), Laos border(2011), Kota Kinabalu(2013), Yangon(2014)-1, Bangkok(2014), Bali(2014), Kuala Lumpur(2015), Bandar Seri Begawan(2016)];-1 Incheon(2011)-1; New Delhi(2012)-1; Beirut(2012)-1; Cairo(2012)-1; Yerevan(2013)-1, Shanghai,Hongkong(2013)-1; Osaka(2013)-1; Czech Republic border(2013)-1; Rome(2013)-1; Tbilisi(2014)-1; Colombo(2014)-1; Marrakesh(2014)-1; Istanbul(2014)-1; Nairobi(2014)-1; Tanzania border(2014)-1; Nagoya(2014)-1; Beijing(2015)-1; Ulaanbaatar(2015)-1; Croatia border(2015)-1; Bulgaria border(2015)-1; Copenhagen(2015)-1; Kathmandu(2015)-1; London(2014)-2; Dubai(2013)-2; Slovenia border(2015)-2; Paris(2013)-3; Palestine border(2013)-3; Gibraltar(2014)-3; Male(2014)-4; Manila(2014)-4; Frankfurt(2015)-4; Hungary border(2015)-4; Iran border(2015)-4; Switzerland border(2013)-4.5; Tel-Aviv(2013)-5. Immigration Officers, IO's (known also as Passport Control Officers) play an extremely important role in the security and safety of any countries. At all times, he/she may arrest any person that he has a reasonable suspicion of committing an indictable offense using the "any person powers" (also known as citizen's arrest). In Philippines, many Filipino's today are open-minded in terms of leisure travel. All are dreaming of going abroad just to tour and experience of being there. Therefore, planning how to go is vital especially if travelling on tight budget basis. One of the process along the way is having interviewed by an Immigration Officer. 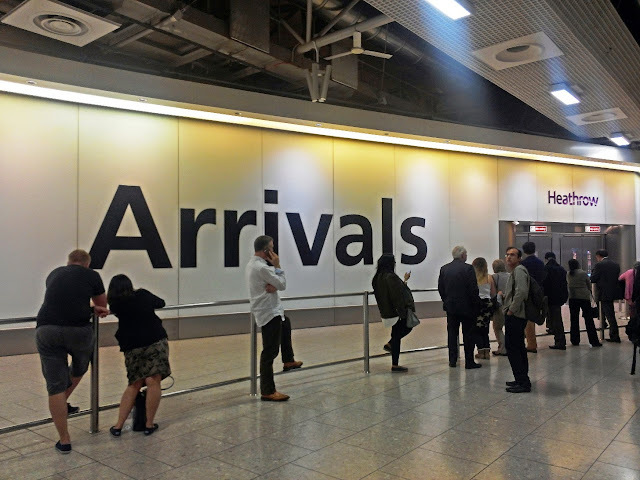 The role of Immigration Officers are to ensure that immigration legislation is enforced. This can cover the rules of entry for Visa applicants, foreign nationals, those seeking asylum or pursuing those in breach of immigration and criminal laws. As for me, when I did my first international get-away, I did not research anything about this immigration process. It's because I know truthfully I didn't commit any mistake that might produce doubt to enter their airport. As an example, the following were the actual encounters how I dealt with Immigration Officers both locally and in abroad. - This trip served as my 1st trip abroad. I was interviewed by a female Immigration Officer and fortunately she didn't say any single word before she handed-over my immigration documents that includes renewed passport, terminal fee receipt, airport tax receipt and the completely filled-up boarding pass (instructions how to fill this small piece of paper is posted in the area before the immigration desk). - arrived 0130H, this airport is outside Bangkok City. Fall in-line, then subject to thermal scanner after handling-over my docs to a male IO. After around 5 minutes, I am in the country of Thailand legally. 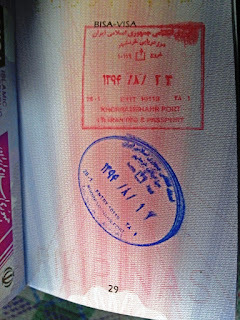 - This trip served as my 1st land crossborder travel between countries abroad. I randomly chose a female immigration officer, and this time she asked, "what day will you go back?". There was a moment of silence before I replied and it was wrong. I verified again my e-ticket and replied again the correct one. She gave me a sharp stare after handling-over my docs and told me next time be attentive on the questions they will asked. My action was just natural due to mixed nervousness and excitement but the IO was right on her advise. And so far, this was the only delayed encounter that an IO spoke to me. - same case with Thailand, no questions asked. the female IO just stared at me as observation on my face against the passport i handed. after almost 5 minutes, there I am, inside Singapore. - land crossborder checkpoint from Singapore to Malaysia via public bus on overnight journey. The bus stopped here around 0200H, the only stop-over on night bus trip. Only one Immigration Officer duty that time, handed my documents and incidentally, I attached my printed itinerary with full of scratch notes. On that moment and as I expected, IO inspected this paper also. She asked for my e-ticket after that, then verified the visa stamps on my passport against the schedule on my e-ticket. Even though there was nothing happened, it prolonged the process and created suspicion. Matter of minutes, I'm in the Malaysian border. - land crossborder checkpoint from Malaysia to Singapore via afternoon public bus. I arrived around 2200H, last stop-over of afternoon double-decker bus. Lots of tourist entering that time, handed my docs to a male IO and after less than 3 minutes, entered again Singapore, one of the fastest service I had. - arrived here around 2230H via last trip of metro train. IO lane was as easy as I did not even noticed that they have the right to reject me out. With no questions asked, I'm already in the boarding gate after couple of minutes. - this trip served as my 1st multiple land crossborder between countries abroad. I arrived in NAIA Terminal 3 around 2100H, paid PhP1,620 for travel tax and PhP750 for terminal fee, a whooping total of PhP2,370 every time any single Filipino will pay to travel abroad on leisure, what a budget mess. In regards to Immigration Officer, they asked questions every Filipino's should be attentively replied. * when will you be backed (kelan ang balik mo)? * what are you going to do there (anong gagawin mo dun)? * what is your work (anong trabaho mo)? - bus conductor will collect all passengers' passports. He will be the one to process the visa stamps to Vietnam Immigration Officer free of charge. Then, entered the immigration building together with our bags and waited for our names to be called. No interviews conducted from IO's. Cambodia border issued an arrival/departure card that will be filled-up completely, arrival card to submit to Immigration Officer. Again, no interview occurred, they just stamp it right away. In less than 5 minutes, with no queuing, I was already inside the Cambodia territory. 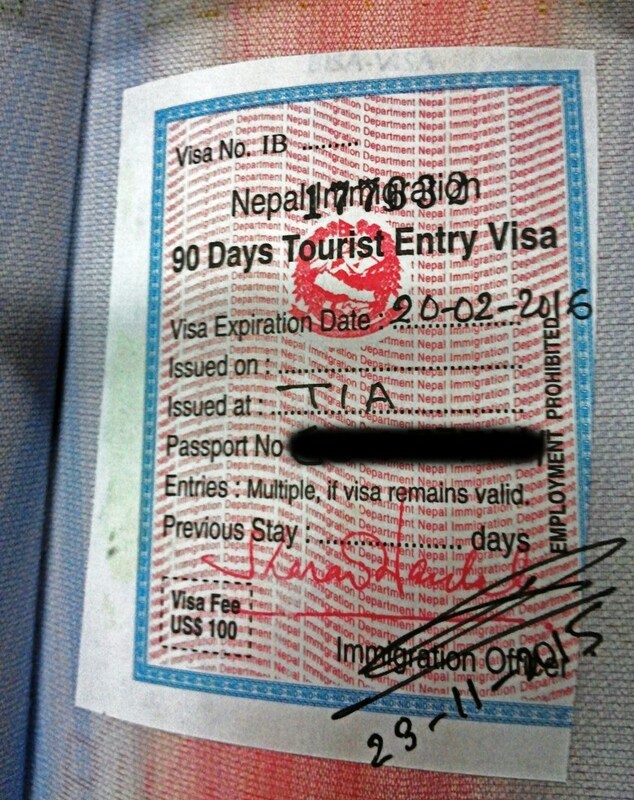 I left my bag in the bus, and brought a ball-pen during the visa stamping process. - this time there was service charge costs $1 for bus conductor visa assistance wherein he will ask you to pay him $5 for visa fee ($2 for Cambodia border exit, $2 for Laos border entry and $1 for him). He will tell only the passengers to sit down and wait for him to be backed in the bus. 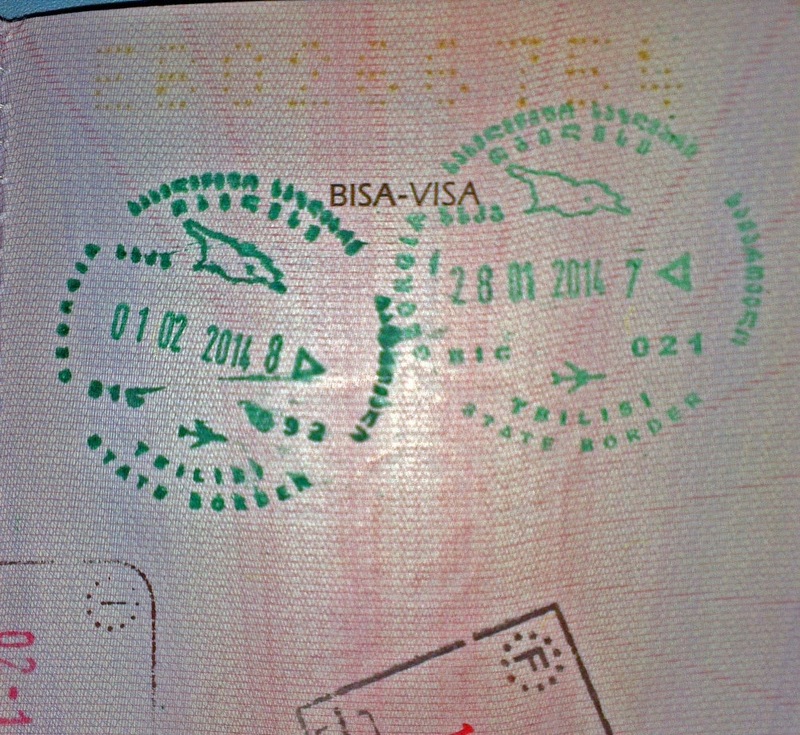 I processed my visa stamps by myself. Most probably I will grab the bus conductor's service also if I have enough money to spare. 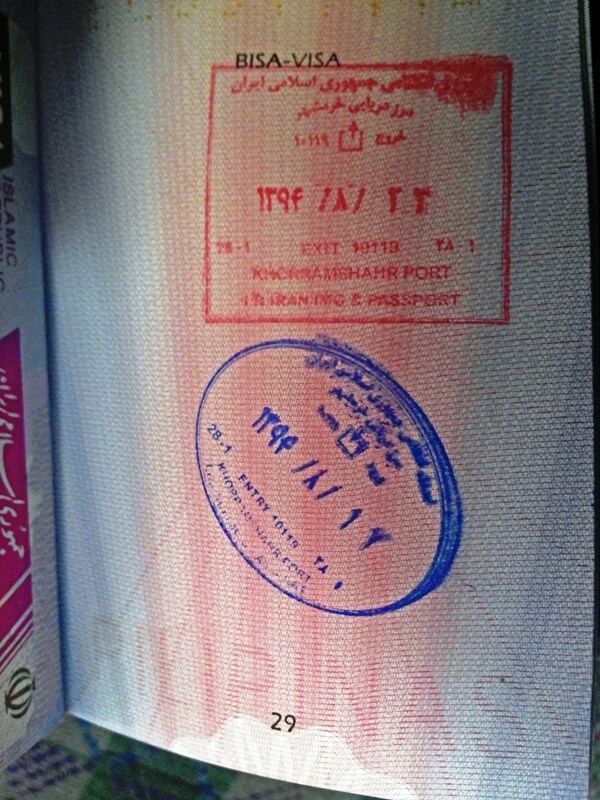 No interrogation occurred by the two IO borders as I did personally apply the visa stamping. Immigration approached was similar also as on how they approached the bus conductor. 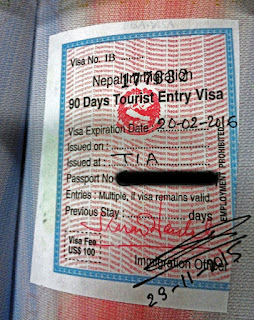 Just around 10 mins I have already my passport with stamps needed, entering the 3rd country to visit on 3rd day of my week-long escapade. (1) Philippines' Passport Control Officers (NAIA Terminal 1 and 3) are much stricter to Philippine passport holders (Filipino travelers) comparing to any of the IO's I encountered in all the countries I have visited (aside of course in State of Israel, European countries and USA). (2) Arrival / departure (embarkation / disembarkation) card must be filled-up properly, completely and neatly. As much as possible, put N/A if items not intended for you. (3) While on queuing lane, observe how others are facilitated. This will help you assess how specific nationalities are treated, racial profiling is sometimes inevitable especially in Western Countries like Europe. VERY IMPORTANT; do not use your mobile phone's camera while on queue. (4) Hand-over your passport, boarding pass and embarkation/disembarkation card (as applicable) completely and nicely. Greet them and look into their eyes then smile a bit. Just include only what's needed (only the usual three; passport, boarding pass and arrival/departure card) unless there are other specific documents posted on IO's window. VERY IMPORTANT; don't attached any documents (i.e. e-tickets, bookings, itineraries, etc) unless asked, this might create set of interrogation. (5) As much as possible, memorize your nature of work, flight arrival/departure, no. of days to stay, hotel name and address, itinerary and purpose of travel. If the Officer queried for something, respond politely and directly what he/she wants to know exactly. Do not provide any kind of follow-up stories. VERY IMPORTANT; Immigration Officer is observative and keen on the consistency and delivery of your response. (6) Be assertive and vigilant on whatever you tell them. Speak with conviction, do not be intimidated IF you think you are telling the truth. Do not interrupt/talk while your travel documents are under observation; just wait, relax and focus. VERY IMPORTANT; don't provide any kind of additional information unless asked, this might create a follow-up and provide another set of questions. Your ultimate goal is to let down the suspicion of Immigration Officers by avoiding suspicious behaviors such as nervousness, rattle communication and absent-mindedness. (7) Be patient, sometimes they just scan your documents more than twice and glimpse at you again and again. Never argue with them, your behavior is under observation at all times. Say thanks afterwards and you can now breathe normally. VERY IMPORTANT; immediately pick-up your passport and other documents, check the completeness, leave the IO booth then walk towards the exit lane. 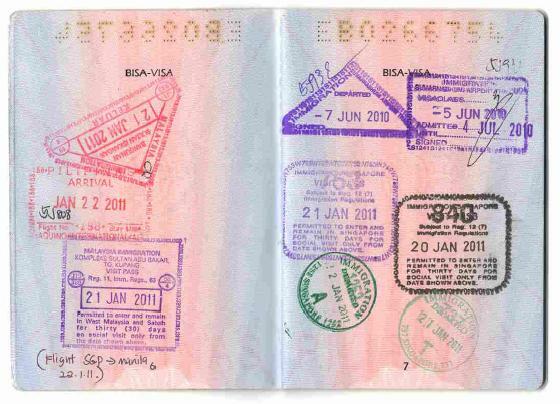 (8) While walking out the immigration lane and towards the arrival lobby, check your passport; search the visa stamp's clarity and validity date (compare against your departure date). VERY IMPORTANT; if you think the visa is unclear or with unreadable validity date, clarify it with other Officers roaming around. true(passport and DE card 1st)!I proactively presented my e-tickets etc.. when we were crossing MY from SG.. ayun, may mga questions si IO.. Very informative. Thanks to this one. I will surely follow your guides. Anyway, any advise para sa akin kasi i am here for 6 months in Vietnam (legally) then i want to go to Singapore for 3 nights then back to Vietnam for 1 night and then uwi sa Pinas. Stricto ba ang IO sa Vietnam? Based on your experience? :)) I will be looking forward for your reply. @CE; just in case, dapat may perang handa ka pa rin para ipakita kasi 21 days is a long vacation to spent. At kailangan mo lang ding gawin ito pag hinanap lang. otherwise, be confident and brave enough to reply all his queries. hi! need an advice ill be leaving for vietnam on the end of july..plain tour lang solo din ako first time. i dont have work but i have a little business here.. not registered sa BIR kasi di naman fix un kita.. my grandfather just gave me money to travel what will i do? what documents ill be presenting to the ios? hi! its me again.. we have family business pla.. running for more over 30yrs.. im dealing with our suppliers and delivery.. we have bir, dti and mayor permit. and it was named after my tita who happens to be my guardian since i was a baby.. i have enough travel money.. 1000usd. any advice what airline ticket to buy? the business i mentioned before was mine.. im starting plang kasi to have my own.. but then again, im on my way to register it to dti. im planning 3days 2nights lang naman. kasi need ko bumalik agad dito. and sinong IO dapat ko pilahan? male or female? im a bit scared of getting offload kasi.. been hearing a lot of negative feedbacks sa immigration..im planning if i can avail one of tour packages, is there any chances getting offload if i avail tour packages? do i need an nso certified birth certificate for my son (1year and 6 months) if were going to singapore? can i present justa photocopy? please reply asap. thanks. @chryztyne; as long as there is no discrepancy between the passport and the birth cert & the purpose of the travel is for leisure only, i think there is no need for the certificate..
@Kiko; IO interrogation is natural, mas magtaka ka if he/she didn't ask as per your case. Just be confident and consistent sa mga replies mo. As long as you have valid return ticket, prepared itinerary and sufficient budget there is no reason for denial. hi!!! question lng po mahigpit po b ang IO s babaeng mag2tour lng s SG? mag isa aqo aalis d2 actually magmmeet po kmi ng European bf q don second time q po e2 mag out of country 1st was in Thailand same situation din po wla aqo naging prob non. marami kc aqo nbbasa d2 n mahigpit ang IO s mga papuntang Singapore 21 days aqo don punta rin kc kmi ng indonesia since malapit lng un don. Enough n po ung mga requirements q? di kya aqo paghihinalaan ng mga un pure tourist po tlaga aqo. and college student plang po aqo ngaun flight q po is after my final exam peo before aqo aalis mag eenrol aqo for the second sem. pra wla ng hassle haizzz ngwoworry po tlaga aqo s mga nbbasa q khit complete n di prin pinapaalis any reply po s mga nagka experienced n pumuntang SG. Hello po, my trip is near na this aug 21 which I availed as piso fair promo last year bound for vietnam but will also cross boarders thru cambodia and thailand. Sept. 5 po yund date ng return ticket. Currently my source of income is my online job with a net salary of 23k/month. Allowable po ba yun as employment proof? I booked the ticket nung nagwowork pa ako as a guidance counselor (but only one semester). I have 3 debit cards, but will bring only 1.
kung kayo po yung IO okay na ba sa inyo? I'm really nervous po. :< thanks in advance! @Ali; for heads up, yes, VERY ALLOWABLE po ang online job as long as you can provide proof na ýan ang source of income mo like monthly statement of salary, transactions related to your work, etc. pakidagdag mo ang mga ito bukod sa list of docs na sinabi mo above. In addition, keep an itinerary and must be well-informed ka sa mga tourist spots na pupuntahan mo to make it credible na backpacking indeed ang reason mo. AGAIN, do not show everything what you have or what I've told you unless ask! @the viewing deck, i already booked ticket to bangkok , medyo pareha po case namin ni Ali, online job din. ok npo ba if proof na ipakita ko letter from employer na i was employed and also leave of absence from work during my travel? and also yung monthly salary receipt ko. My other question po. dun sa ticket ko more than 30 days kasi na booked ko which is sobra sa allowable stay sa thai. The reason is i want to visit also neighboring countries. abot cya ng 50 days bago date ng balik ko. Is is ok if i'll inform the IO about this? will they still allow me to enter thai then ill booked a ticket when i get there? or if i have to i will get visa on arrival or do visa run? hope you can help. thanks a lot. P.S this is my first time to travel abroad and alone. @Ivy Uy; as much as possible provide hard copy (if ask) of plane tickets or detailed itinerary (esp train/bus ride) to show it to IO. Remember that your aim is to remove the doubt in IO's mind that your travel on 50 days is purely backpacking only especially this is your 1st time to travel alone abroad. In addition, somehow memorize the tourist spots that you will visit, how to go and what to do there to fully justify your objective (this helps a lot in interrogation). Of course, IO will still allow you to enter Thailand but you have to have CONFIRMED plane tickets (just to make sure no further complicated questions anymore). hi may questions po ako. ill be leaving manila going to SG po and its may first time na mag out of the country. as tourist. ask ko lng if san po ba mahigpit? sa Naia or sa Clark? as long as your name is written on any hotel vouchers, its acceptable! @iloveExtineG; kung Pinas IO ang nire-refer mo, pare-pareho lang. I'm OFW also so yung usual lang sa travel mo as mentioned above. @ Nosaj; ang hotel/hostel reservation ay isa sa mga guarantee ng IO na may matitirhan kayo dun during your stay at hinahanap lang randomly. Yup, tinatanong po at company ID is enough. Thank you, Takot lang ako baka hanapan pko ng COE. Hanap na lang ako way para sa hotel/hostel reservation. Nung first time mo nag out of the country may hotel reservation ka din? Im worried.. Im currently unemployed but im flying to kuala lumpur then from kuala lumpur il be flying to Chennai india this coming february 2014 i already have the tickets bought by my partner.. The worst scenario kung wala parin akong trabaho sa feb my chance kaya napayagan ako ng immigration na lumabas ng bansa... During this trip sagot lahat ng partner ko from tickets, hotel accomodation, tours na gagawin namin.. Etc.. Magisa lang ako aalis kasi sa kl kami magkikita ng partner ko na australian. @ Godfrey; ask your partner to create any letter that he/she wil be the one to support your travel and be notarized. Also, on your side be prepared to support your pending applications and make sure to IO that you will return back. For me your documents, suffice enough, cheap cost of living naman sa India. I was offloaded two times in naia..first in terminal 2, the IO offloaded me for the reason that they need my poea clearance because i worked in macau for almost 8months but i resigned that is why i cannot give them the clearance, kc ang clearance ay para lng sa mga may working visa which is cancelled na visa ko..so wala ako nagawa kundi umalis at umuwi nalng..but one of the personnel in naia told me to renew my passport so that it will clean para kung magtravel ako ulit malinis passport ko at kung tanungin man ako kung first time ko i.will say Yes..
Second try ko sa terminal 3..this time im with my bf na ofw sa macau,kasama ko sya because na phil consulate in macau told my bf na effective daw gagawin namin kung ang bf ko mismo kukuha sakin..pero i did wrong in IO because i told IO that it was my first time to travel,so i lied but the IO detect my travel record which is i was offloaded in terminal 2..so sad but IO offloaded me again kc i lied..sa kagustuhan ko makasama bf ko sa birthday nya naka lie ako which is wrong..nag sorry ako agad sa IO pero offloaded pa din ako so wala na naman ako nagawa kundi umuwi at umiyak kc bf ko hnd naoffload.. The requirements of ours is enough to the IO? Kung may kulang po ako anu pa po un? I hope for your reply..i really need the answer..
@Jomar; totally wala po if IO concerns... information lang yan during passport processing sa DFA. Question lang. Thailand ako this feb 26. Magkano ba ideal na cash in baht pag 4 days? May hotel na akong na book. @mikko peralta; depende yan on what is your motivation to travel and where exactly in Thailand you are going to spend it. Siguro minimum of 1,000 THB a day. I'll be heading to Vietnam for 2 weeks in July po. Already booked Return Plane tickets and hotel accommodation. I'm planning to resign as Process Engineer before I leave. Okay lang po ba kahit walang company ID na e'present sa IO? Pagbalik ko na po kasi balak mg-apply ng ibang trabaho. At sapat po ba yong PHP20k na pocket money for the entire trip? @Cecilia; I think as a contingency, you should provide at least Employment Certificate, company ID photocopy or Statement of Bank Account. Ang laki kasi ng probability na mandatory hinahanap ng local IO natin 'to. As much as possible din po don't mention na you resigned already at wala ka ng work kasi this will serve as can of worms to them, I hope you know what I mean. Try to reason out your source of income while you don't have work. Regarding the PhP20k budget for 2 weeks in Vietnam, this suffice enough. Hello good day! I will go to Malaysia on Feb 23-Feb 27 as tourist, takot po ako maoffload, i have traveled in China and HK already, for many times and ung last time 3 months akong nagstay sa China as tourist with proper visa. Meron po akong return ticket, invitation letter from my friend in Malaysia with his local ID and contact info, hotel booking-but my hotel booking is only for 2 nights, kasi dun nako sa friend ko magstay after nun till makabalik ako dito sa pinas. Ano po kayang possible problem and maoffload ako? I am a co-owner of my sister's business but she passed away. Can I bring our business permit? What other pertinent documents can I bring?Kasi sayang ung tickets ko kung maoofload lang ako. Please help me! Thank you! @kimberly; ang possibility na ma-offload ka will depend on the IO's assessment to you at the moment na nakausap ka na nya. We all know MAS MAHIRAP ang IO natin locally kasi sa ibang bansa (I always compare this). As an addtional proof, pls bring the business permit, copy ng deceased valid document ng sister mo, and updated statement of your bank account. Sa Malaysia Airport, I doubt magkaproblema ka, mabait sila dun. Hi, its nice reading your post. It's really helpful. I'm actually planning to travel alone internationally (Malaysia) two months from now for 4days and it'll be a first for me too. I bought roundtrip ticket already but I just haven't booked a place to stay in yet cause I'm planning na dun na po maghanap.. like walk in sana (since I'm in a tight budget and solo travel package isn't that popular.. lol) also my flight is in the morning so I'm thinking it wont be too much hassle.. Just wanna ask kung okay lang po ba yun ganun? And do you think its alright if I tell that to immigration officer pag tinanong ako san ako magstay? @Angelica; (1) Ok yung ganung walk-in if you have much spare time. Canvass ka na online ng mga hostel addresses na prefer mo. Usually walk-in lang din ako pag nagba-backpack sa SEA countries at wala din akong credit card nung time na nagsisimula akong mag-travel . Mandatory ang address abroad sa NAIA departure card so its up to you how to handle this query. (2) Company ID is enough, never pa ko hinanapan ng Certificate of Employment. Basta may enough cash ka to show them ok na yun. Follow up question tho' , what if magpabook ako for the first night na lang? Then I'll say that na for the following days plano ko na magwalk in sa ibang hostel. Mas okay po kaya yun? And about the cash pwede na po kaya yung 15k for 4days trip? @Angelica; yeah pwede yan, pero ensure mo na kaya mong i-reason out ng mabuti sa IO ang walk-in search mo ng cheapest hostel. Kasi if NAIA IO fully scrutinize booked accommodation dates on your entire trip ang laki ng probability na no more questions ask. PhP15k is enough. Hi, based on what I've read mostly are working and has employment ID. What if student lang? Anong need? I'll be traveling to Vietnam-Cambodia from April2-11, first solo trip, regalo ng parents. Bought plane ticket and booked hotels thru my dad's credit card. Hahanapin pa ba yun? Last year SG but with friends kaya hindi ganun kabado and hassle sa IO, pero ngayon kasi solo na. Need some help for further requirements. Thank you! @ruffale; pls bring your school ID, updated university registration card, copy of Dad's credit card, print-out hotel bookings & itinerary and budget cash. Hello im going to hongkong nextweek. Wala akong work and hndi din ako student now ngstop kc ako. Ano kayang mga dapat kong dalhin para hndi ako posiible na maoffload? Bought my plane ticket already and my boyfriend in hongkong already booked a hotel for me. my boyfriend is chinese taga dun sya. 3days lang naman ako. NGwoworry ako kc hndi ako mkarequest sa bf ko ng invitation letter kc nhirapan daw sya hndi nya maintindihan nung ngpunta sya sa embassy ng philippines dun to get invitation letter dami din daw kc requirements. Solo traveller pa ko and 19 yrs old kaya kabado ako huhu. really need help for the requirements. Thank you. @Henrita; based on your current status you have no other choice but to provide Invitation Letter. hi! my boyfriend and I are going to hongkong this april. we prepared passport, ticket papunta dun and return ticket back here in manila, hotel reservation. nurses kami. government employee kami for 3 years. meron kami company ID. Is there a possibility na ma-offload kami? magtotour po kami dun. @peds; you need invitation letter, employment certificate and maybe residence certificate ng sis in-law mo. Hello po, paalis na din po kc kmi ng son ko on April 11, bound for Bali indonesia and we wil be returned on April 20 from jakarta na to manila. Ang problema po kc ay hindi mkapag produced ng Affidavit of support ung partner ko (not married) kasi po ang phil. Embassy po is nsa jakarta, nasa bali pa po cya. Wala rin po ako work dto sa phil. kc full time mommy po ako ng 3 kids, ang source lng po ng income ko is ung remittance sken ng partner ko who is an Indonesian Citizen. Nag aalala po ako na bka maoffload kmi ng son ko (1yr 8mons old) dahil wala po kmi maiprpresent na affidavit of support na authenticated ng phil embassy sa jakarta, at wala din ako work dto. Ano pa bng posible ko na gawin? Ano pa pong mga documents ang pwede kong dalhin in the absence of affidavit of support. Is the birth certificate of my child is enough since sa father nya sya naka apelyido sa BC nya? Papasyal lng sana kmi dun for 9 days. Hope you can help po.. Thank you po..
@rizza; affidavit of support is IMPORTANT po talaga especially wala ka work to support your financial capability, di naman dahilan ang layo ng Bali sa Jakarta, same country lang naman yun just like visiting Manila from Cebu. Letter of invitation and remittance receipt for last 6 months might help but you have very limited time as your departure date is very near. @rizza; letter of invitation, employment certificate & company ID ng partner mo. I think need tlg ang affidavit of support as strong document to supply your travel. Kung nakalagay po name nya sa cebuana as cross reference sa other docs above perhaps will help. Try mo pa din, sayang naman chance mo na 'to to explore at least you're prepared. 3) copy ng passport nya including ung mga pages na may mga tatak ng arrival/departure nya dto sa pilipinas coz he is consistent po naman sa pag uwi uwi dto. Ung letter of invitation po pwede pa po cya makagawa, kaya lng need po talaga is affidavit of support na authenticated dba. Ung CEO nya and Company ID is meron din po nman since sarili nya nmn po ung company/business nya. Haiiiiiiissssstttttt.. Nawawalan na po ako ng pag asa, malapit na po kc ung departure date namin..:( thank you po sa pag answer ng mga questions ko.. It really helps a lot po..
@rizza; sana kasi sinamahan ka ng partner mo to go outside Pinas since first time mo 'to para everything IO asked can be answered by him. Lahat ng sinabi mo dalhin mo na lang, alam mo namang naghihigpit ang mga local IO ngayon. I repeat requirements are requirements. Ah so pag kasama po nmin cya umalis mas ok po ung ganun? @rizza; yes, much easier plus documents you mentioned. halos same case ko, since sa abroad na ko nakatira at 1st time ng family ko lumabas ng Pinas, ang ginawa ko was umuwi muna ko then sabay-sabay kami lumabas ng bansa. Ako ang frontline sa IO, as in ako lang ang na-interview, yung family ko pinapasok na lang. No hassle pa kasi alam nila ako ang gagastos for them. Kahit po foreigner cya? D po kaya mas maraming question? And pag ka ganun po ok lng po ba na wala ng letter of invitation or affidavit of support since kasama nman po nmin cya? @rizza; ang teleserye ng talakayan natin ah, but I'll still try my best to help you out ^_^. yup, kahit foreigner sya as long as you brought those documents you mentioned above. What matters most po is may financial capability ka to support you abroad at walang "human trafficking" na mangyayari. IMHO, I think ang affidavit of support ay need lang ATA pag di mo kasama sa departure ang susuporta sa yo. Oo nga po, pasensya na po sa abala at maraming salamat po sa pagsagot sa napakarami kong katanungan..
Gud day po, andto nnmn po ako.. Nagparebooked nlng po ako ng sched para po mkapag provide ng AOS ung partner ko. Ang problem ko nmn po ngayon is CFO, need ko po ba tlgang kumuha nung certificate na un dahil po foreigner po ung partner ko? @rizza; re-booking is right decision. yes po, as Filipinos going abroad as fiancé(e)s, spouses or other partners of foreign nationals, you are required to secure CFO sticker. Basta follow lang po lahat ng ANY requested documents para malaya/regular kang makalabas ng bansa. Wala na po yata talaga kming makapasyal ng anak ko. D po kc ako maiisuehan ng CFO since nagkaron na po ako b4 dahil po sa immigrant visa ko sa japan. Divorced na po kc kmi nun japanese b4 ako umuwi dto sa pinas, kaya lng po d ko naackaso dto kaya gang ngayon surname pa rin nung japanese ang gamit ko. D nmn po kc inohonor ang divorce dto sten. so d rin nla ako bbigyan ng certificate, dapat po cgro mag annul muna ako.. haiiiissststtttt..
Salamat po sa reply. Nagwwork sya sa business ng father nya na magffund din ng trip nila magkapatid. Ok ba dalhin ung business registration/cert ng father nya? meron din sila joint account, hingi nlang sya ng bank cert. Pwede ba sabihin sa IO na willing sya magsign ng parang waiver or agreement na babalik sya on the date na nakalagay sa return ticket? safe ba un and meron na kaya gumawa nun? Hi po..Im going to germany po this coming MAY.Ang flight ko po ay Manila-Hongkong then Hongkong-frankfurt (Germany). Is it possible po ba na maooffload ako kahit my "visit visa " na ako ng 90 days to Germany? bf ko sponsor ko..we have a "formal Obligation" its also authenticated affidavit of support from foreign office in germany.. kasi nag try si bf ko mag ask sa phil.embassy sa germany,they said "its not necessary to have affidavit of support" from phil.embassy. ano po kaya pwede nila hanapin sa akin? wala ako work pero 1 year na akong sinusuportahan ng bf.thanks po..god bless us all. @Emily; Again, IMHO, ang possibility po na ma-offload ka is ALWAYS depend sa "power tripping" ng IO na based on your route is NAIA T3 at Germany, HK is not strict (besides transit ka lang dito). Just in case bring those docs you mentioned PLUS (I think) pictures of you and bf together, email correspondences of your sweet relationship, and his work certificate/ID or passport copy. Best of all, punta ka sa local Germany embassy or call them and make everything be clarified. Kasi most of the time, foreign embassy need to authenticate this docs as a requirement of their airport. Paano po pag self employed, ano po mga requiremets ang kelangan? Farm, poultry and piggery ang source of income and pocket money ay bigay ng parents. Punta kami ng bf ko sa singapore for 4days. We have passport hotel and two way ticket. Ung bf ko self employed din. We dont have bank accounts merely cash po dala namin. SGD 400 at USD200 ang cash each of us. Panu pag walang bank.account at self employed? Wala ring business permit pag backyard poultry at piggery. Please help us on this. Thanks again. Ano pong dapat gawin kasi yung mother ko nasa Canada and my father didn't want to go. @gian; affidavit of consent po from your father authorizing your bf's family. Do i need to secure that even though I'm already 18 by that time? Thanks and sorry if I have too much questions. @gian; everything what I said here is just based on my honest opinion. Since you think you are on your right age during your trip, do as you please. Kung kapatid kita as a brother di kita papayagan unless pumayag si tatay/nanay or tiwalang-tiwala ako sa bf mo at ng family nya. My parents agreed since they know his family naman. What I'm asking is about the immigration thing. @gian; don't get offended, what I'm telling is the worst scenario of "immigration thing". Consider both sides of your status as being offloaded now is a record in passport. Hi, I'll be travelling w/my bro (18yo college student) to HK on june. It's our 1st time to travel together. Ok na ba the ff docs dala namin: passports, rountrip tix, 5D4N hotel booking under my name, my ofc id and his sch id, pocket money hkd6000 + php15000, my cert of emp., and latest form 2316 2. Puwede ba sabay na kami sa isang IO since ako magfufund dahil student pa siya, ako lang ba iinterviewhin? Hoping for your soonest reply salamat! @Angie; I feel your excitement. Yup, dapat talagang sabay kayo humarap sa IO (sa Pinas lang po ha, individually abroad unless requested). your brother might be interviewed also for consistency check against your response. Your set of requirements is more than enough. Good luck and Happy trip! Thanks a lot!! Your blog is a big help! pag po ba for complience ka sa terminal 3 s naia khit po saang terminal for complience ka p din?mkikita po ba un? @danila; pasensya na po no idea po ako, di ko po kayo maintindihan. Hi I would like to ask for tips on how to successfully go through the IO at NAIA. My friend and I (we're both college students and first time travelers) are planning to go to Malaysia, Thailand, Cambodia and Vietnam for 8 days during our break. The route would be MNL-KUL then KUL-BKK then from BKK we're gonna land travel to Siem Reap, Phnom Penh and finally Ho Chi Minh. Are there any documents we should bring aside from etickets, hotel reservations, tour vouchers, school ids, pocket money and atm? The trip is funded by ourselves(savings). And is our route a little odd since we're first time travelers? I'm afraid we're gonna get grilled because of our route. Thank you. @whatzitooyah; bring the ff; parent's employment certificate, company ID and ITR, your university registration certificate and the best of all hard-copy of itinerary. Yes, I confirm you might be grilled. Hi, I'll be travelling with my friend on SG in Sept. We will be staying at the house of my former boss' friend. She already gave us her address and contact # thru FB. Would like to know po if needed pa din namin ng letter of invitation from my boss' friend. Thank you in advance. @Cristina; yes definitely po ONLY if the IO asked especially pag nakita nya sa Departure Card mo na hindi hotel ang accommodation mo. This is in my opinion po pero if you think you can defend naman na your stay there is purely on tourism only, then gamble your situation po. Hi, Thank you for the quick response. Can the letter of invitation be in a form of an email or a message thru FB? nyek, isip-isip po... don't involve fb or any social media messages in any kind of immigration process. Baka lalo ka pahirapan, this is not child's play po. Letter of invitation should be a formal letter signed and scanned by your SG friend. You can check the sample by googling "letter of invitation format for immigration purposes". That's why I ask because I'm new into this, anyway thank you. This is my first time to travel abroad na unemployed. I am visiting my BF in Sydney for 3 months (I have a multiply entry visa, no work condition, been in Syd back in Jul-Sept2014) and I dunno how IO will respond that in my next visit, I don't have a cert of employment or authority to travel to show the IO. I have my RT tickets, bank statement, communication from BF that he'll support my stay, cert of condo title, Are these enough, you think?